If you missed the PCNT Christmas celebrations last year, you missed out! 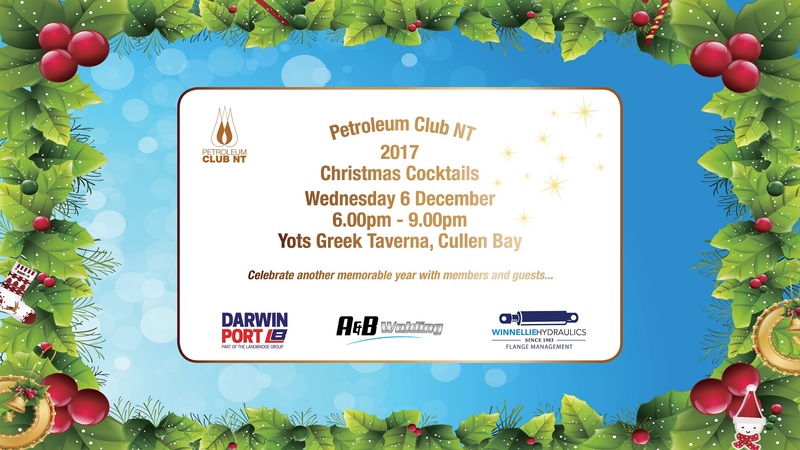 This event is a great opportunity to invite your clients, staff, industry peers and partners to join us as our guests to enjoy some Christmas cheer in the tropics...Bringing colleagues together from a wide demographic of industry and across our business community in Darwin. This year, we welcome you back to experience Yots Greek Taverna with exclusive access for PCNT members and guests at Cullen Bay Marina. Please join us for an evening of amazing food, featuring the Darwin Port Oyster Bar, and kick off the festive season as we celebrate our many milestones and achievements throughout 2017.